Mr. Kamal Khadka did his Masters in Agriculture (Plant Breeding) from Institute of Agriculture and and Animal Science (IAAS), Nepal. 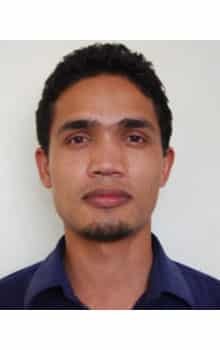 Mr. Khadka has more than seven years of professional experience in participatory research and development. He started his career as a rice breeder in Local Initiatives for Biodiversity, Research and Development (LI-BIRD); and also coordinated the crop improvement programmes on maize, finger millet and potato. He has key expertise in participatory plant breeding (PPB), agronomy and community biodiversity management (CBM). In the SAK project Mr. Khadka will be supporting the project team to initiate and establish a mechanism to help the farmers/farmers� groups in Nepal to produce hybrid maize seed at the community level. He will also play an advisory role to help the team to design and conduct agronomic trials in the project sites.